I’ve never understood why Morpeth, an attractive town that appears to bloom even in the depths of winter, can’t support a few good local eateries. The place has an air of comfortable affluence, with sturdy villas, a cheese shop, a Marks and Spencer and even a Laura Ashley – surely it should also boast the odd decent restaurant? Yet, with very few exceptions, Morpeth remains one of the North East’s dining deserts. There’s one jolly Italian, a reasonable Thai, a couple of nice country gastropubs out of town, and that’s about it. A few weeks ago I endured a Greek tragedy at “Socrates at No 5”, where I hoped for some good Mediterranean cooking, and failed. 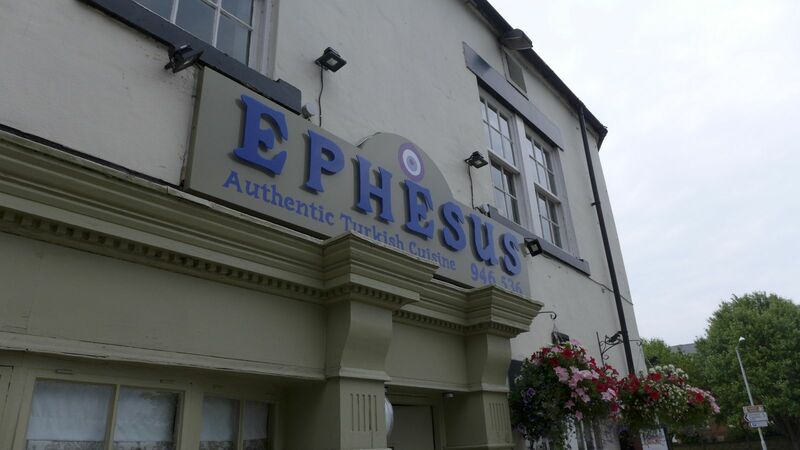 This week I tried again, at a former curry house on Bridge Street which is now a Turkish place called Ephesus. We made the metaphorical trip across the Aegean, in reality the Wansbeck, and gave it a go. Things started promisingly. 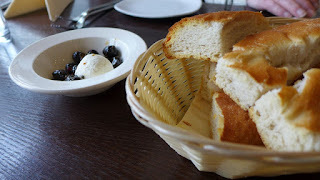 We were brought some lovely warm foccacia-type bread, all crisp of crust and lightness inside. Alongside, some nicely marinated olives and an orb of spreadably soft but tangy cheese. Attention to such detail tends to indicate a kitchen that cares. Heartened, I ordered a glass of Buzbag, a bracingly fresh and slightly tart red, grown in Anatolia. Before I hear any sniggers about duff Turkish plonk, you should remember that this was probably one of the first parts of the world to ferment its grapes. I was pleased to see that Ephesus has focussed its entire wine list on Turkish vineyards – it also offers Raki as an alternative. 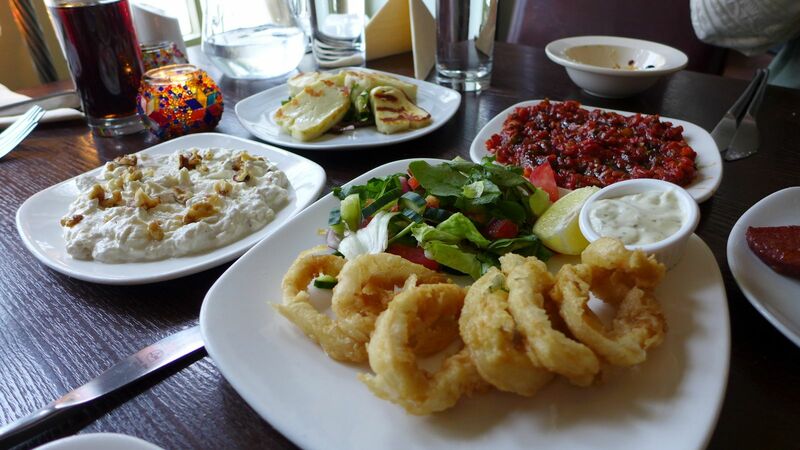 The menu follows the traditional Eastern Mediterranean theme: a large selection of cold and hot mezze that work well for sharing - followed by meats from the grill as well as some slow cooked stews and rice dishes. When done well there is no more convivial way to spend an evening. Unfortunately it wasn’t done particularly well at Ephesus. We ordered six mezze dishes between us, taking in most of the standards. Whilst none were disastrous, each was found lacking. The hummus wasn’t smooth enough, and needed more lemon and tahini. The calamari weren’t crisp enough, and came with an odd sauce that tasted more like salad cream than it should have done. Most disappointingly, the charred aubergines in the babaganush had no hint of smoke. Squeaky slices of grilled hellim cheese and brick-red spiced sucuk sausage were more authentic, but also harder to get wrong. Mrs Diner once again took the prize for dish of the day, with her main course choice of “Prawn Guveg”. Whacking great tender shrimp swam in a good rustic stew of tomatoes, peppers and garlic. Meanwhile I sat bemoaning the lack of umami-generating char on my lamb cutlets. The ocakbasi charcoal grill should be the fire-breathing heart of any good Turkish restaurant. Not here, it seems. I can generate more crust on my barbecue at home. A shame, as the lamb had good flavour. 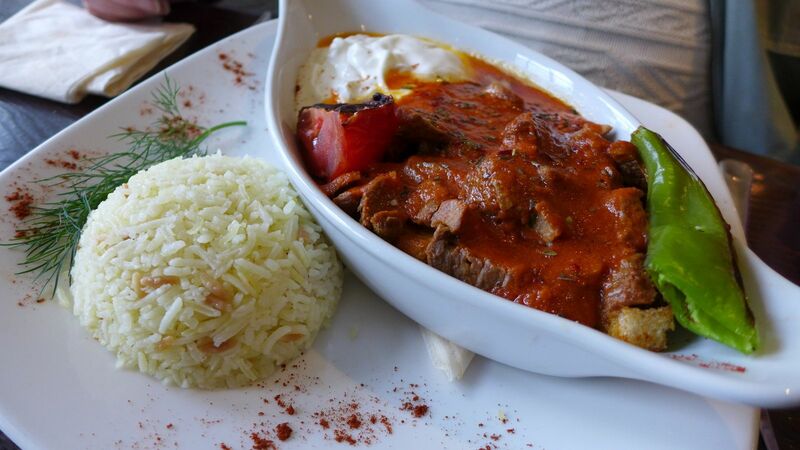 Our friend's lamb iskender was euqally unremarkable. 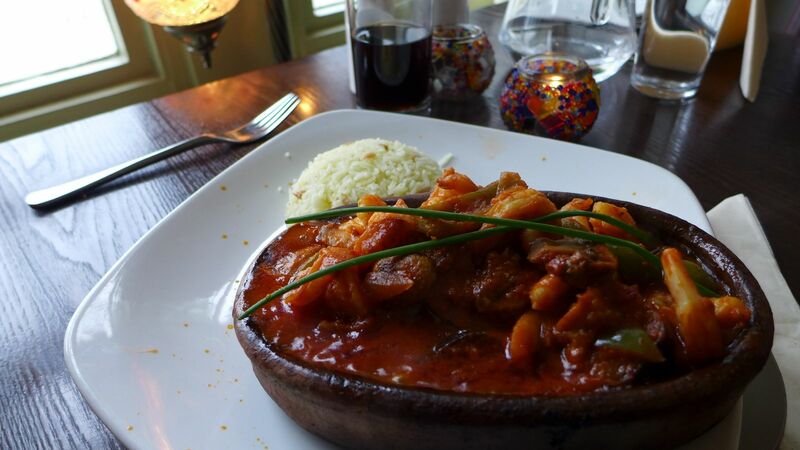 Slightly tough lamb in a tomatoey-yoghurty type sauce. Like the rest of the meal, it needed a thwack of garlic, or chilli, or, frankly, anything. Even if I were being charitable, I couldn’t describe the desserts as being anything other than poor. 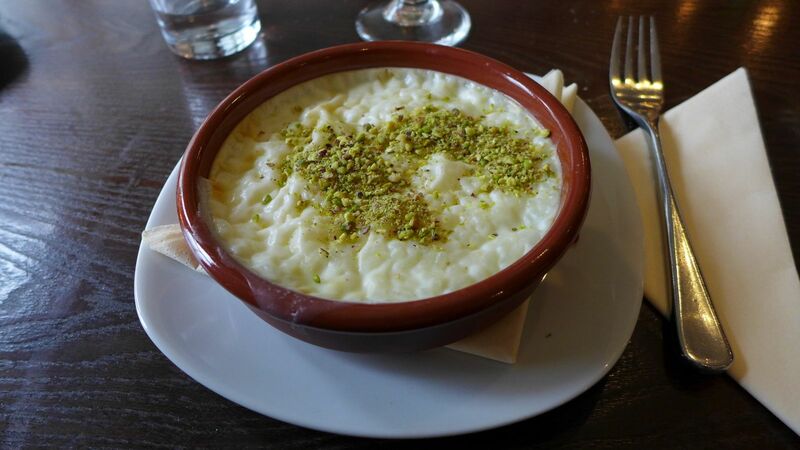 My rice pudding was as thick-skinned as a bad stand-up comic. It also managed to be both hot and tepid at the same time. Back home I can only achieve this effect with a microwave. 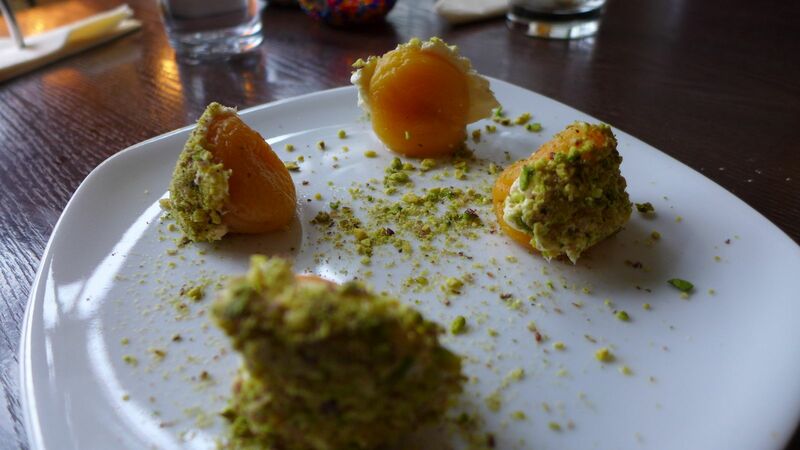 Mrs Diner’s “stuffed apricots” were partially rehydrated fruit with pistachio on top. 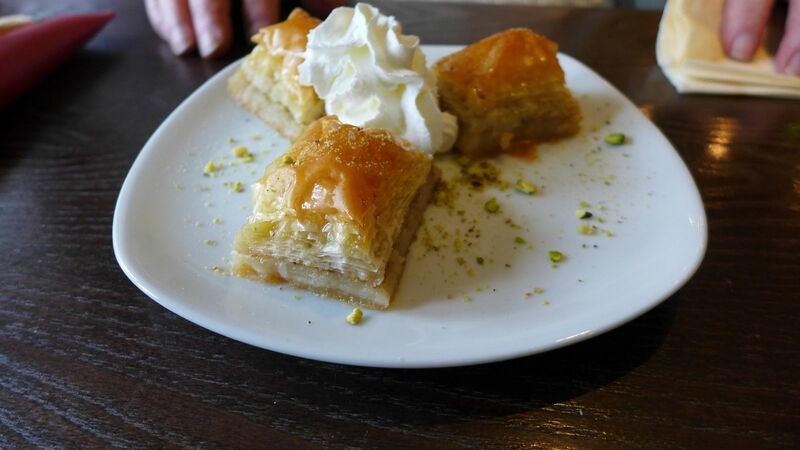 Baklava was pretty average, and not helped by the frothy issuings of a squirty cream gun. Ephesus has been open since January, and according to the friendly waiters we spoke to, has been doing well. I’m always pleased when a local place succeeds, but, based on this experience, I can’t fathom why. To be clear, the food wasn’t disastrous, but none of it was particularly good. My headline would read “Underwhelming Meal at Local Turkish Joint”. It would probably matter less if our meal had been cheap, but it wasn’t, although I noted there’s a 3-course lunch special for £8.95. In the evenings, they are actually charging a slight premium over what I’d expect to pay at a number of similar (and no less indifferent) places in Newcastle. Our bill for three came to just under £80, including the very modest red wine. For main courses of £12 and more, I would expect the cooking to be, if not life-changing, then at least big on flavour. But flavour was what it lacked most. There is a section on the restaurant’s website which details the history of the ancient city from which it takes its name. As I read about the Library of Celsus and the Virgins of Hestia, I wondered whether the owners of Ephesus should have paid the same attention to the authenticity of the cooking. So Morpeth has yet another 2 star restaurant. Surely this town deserves better? He is so right... we do need better...! At least Snr. Marabini is back in town for a good Italian... get over to Lollo Rosso !